Obviously you need a lot of surface area to get a decent output; in the United Kingdom with a lot of cloud it just doesn’t really work the outputs are just too small unless your panels are huge. Here in the USA cloudy and Green tunnels are less of an issue as yet again a major mile stone of engineering has once again made older panels obsolete manufactured prior to 2015. The latest changes including moving the tiny wire lines behind the collector. When you look at the new panels you just see a dark purple and no silver. To help you understand the importance of this, right now it’s January in Pennsylvania, 32° cold and on a day that was so cloudy I could not see the sun. Using an app to help me point the Anker 20 watt panel at 11:30am and by1 pm, the smaller Anker battery was from zero to 50% which equals 1 phone charge and accessory charge on a very small old Anker brick. My personal charging plan of attack is to carry a large wattage panel, a 21 watt version, and only pull it out when stopping for water or lunch breaks. The 21 watt panel, even with less than perfect light conditions can produce 4-5 watts of power which is the same as a wall charger. If you have excellent sun, you can actually charge your iPhone or android faster than if you were at home (up to 7.5 watts). So I basically try to hit it hard and fast and be done. I'm still on the fence about the "charge while walking" method. I need to do more testing, but I definitely wouldn't attempt to charge an iOS device directly while walking. An external battery pack works really well for this since it can trickle charge and not complain about varying voltage/current. Most new handheld devices are using 2A charge as standard. Apple 6 top charge rate is 8.6 watts 5volts 1.7 Amps While the iPhone 4s itself was too picky and would not charge directly, I was pleased to discover that the iPhone 6 seems to be more tolerant and with good sun. When you hike, the delivered power is generally all over the place. With the right controller and a larger setup delivering more power, the better the chance that enough power will be delivered continuously to satisfy the iPhone. What may be called "inefficient" in good sun may also be a requirement for continuous charging in variable situations. So for me there are three levels of demand in considering how large and heavy a system to design): (1) deliver just enough usable USB power to meet my power needs to a battery or device like the Steripen; (2) deliver enough correct power for direct-to iPhone charging when in acceptable sun; (3) deliver enough power for an iPhone with wildly varying charges while walking. It’s the phone that presents the biggest challenge. In the past knock off chargers made in China caught fire and I phone paid a heavy fine & a serious bad rap on the internet due to something they had nothing to do with – Apple’s chargers were superior and not catching fire. To fix the problem both Samsung use a resistor bridge hidden in the charger and a smart sense circuit to combat this issue. When presented with a poor quality charger in three seconds your phone decides to charge at the faster rate, then notify you that you are doing it all wrong. To light up beep and flash an important message, you can actually drain the battery inside the phone while walking around. The smartphone can complain about all sorts of things when it comes to notifications. Solar cell not facing directly towards the sun. This could be due to poor panel aiming and low sun angle in the sky which is common in shoulder seasons. Hazy/cloudy skies will reduce the strength of the available light. A twenty watt can accomplish 10 watts with the new tech that is out there. Energy loss during the step-up or step-down process in the USB power module. This is the biggest cause of energy loss. Not purchasing the right sized panel to collect the energy you want. Phones smart charging circuits not accepting after the three second built in smart test. At the time of this writing 2017 does not have the latest panels over the counter or on line in backpacking size. I did see the Nomad 20 coming out – but too expensive. Goal Zero battery pack is more bulky and is rechargeable AA’s now have little value on the trail, I think they did that to power the Garmin 400T or accessories at the time. I did purchase one in the past and after a month returned it. Goal Zero addressed this by now offering “The Flip” Brick Charger, small and portable, 2600mAh with 1A output designed to give one full phone charge. It is already outdated, a 2A output is recommended. The post was edited 1 time, last by Wise Old Owl ( Jan 29th 2017, 3:30pm ). great ! I need this info for hiking and ham radio. Best article I have read on building your own Uber light Panels. You don’t have to cut the panels anymore, just buy the size that fits your needs about 6volts. But on the AT has this technology really reached a point where it is practical? I say yes. My hiking buddy Slingshot uses some kind of solar charger/battery pack that is the size of an iphone that he hangs on the back of his pack. In town he plugs it in and charges it. It will recharge even on cloudy days. Me I just turn my phone off take pictures with my camera and only turn on the phone once a day to check in. I can go a week at least on my phone. I do carry an extra camera battery. We are into the latest generation, and each year there are more and more breakthroughs, to say they are all alike is a mistake. 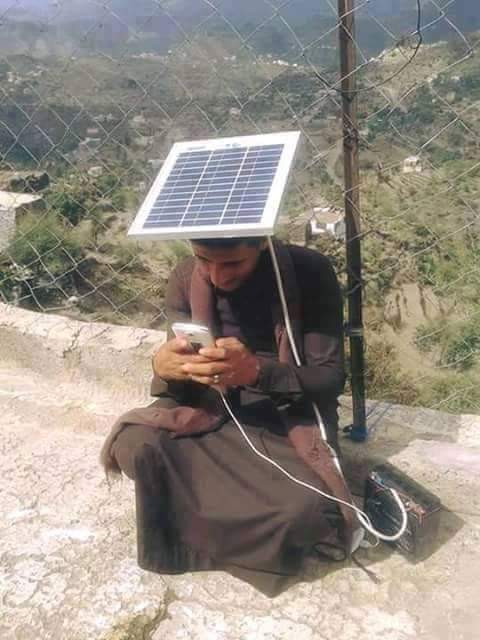 If I can't see the sun and can still get a charge, that's practical! So instead of charging your phone direct - store it to a lithium battery and charge your phone daily. Its like comparing a Tesla to a Model T.
There is a caveat. The bigger the battery the longer the charge. Some larger Anker's require a six hour charge. A smaller two Amp output can be obtained with a short charge. And you probably get better pictures than those of us using phones in airplane mode.